MJK Automation develops, manufactures and supplies water instrumentation for control of drinking water, sewage water and industrial water treatment. MJK Automation manufactures high quality on-line instrumentation for measurement of Level, Flow, pH, dissolved oxygen, turbidity and total suspended solids, Pump Controllers and RTU units, Data loggers and water samplers. MagFlux® Flowmeters are developed for measurements in all types of conductive liquids, including measurement of flow in drinking water, wastewater, sludge and process water. 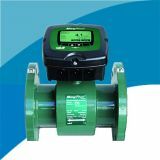 MagFlux Flowmeters are manufactured with carbon steel and stainless steel for flange or wafer connections and lining in hard or soft rubber and PTFE/PFA. 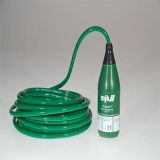 Created in ABS plastic - the perfect solution for corrosive, salt water area applications. 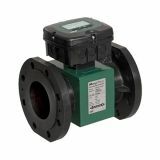 The MJK MagFlux® Q (8200 series) Electromagnetic Flow Meter, created in ABS plastic, designed with an optimized construction which secures optimal performance. MagFlux Q provides very stable and highly accurate flow measurements in conductive liquids, especially at low flow velocity. 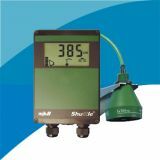 Designed for level measuring in tanks, wells, containers, weirs, flumes, canals, etc. With MJK cabled sensors, it is easy to position the transmitter with the display, where it can be useful, and the large display allows viewing from a distance. Tne one-step measurement start-up procedure is easy to follow and easy to modify the set-up of all functions, controls and signal management features. 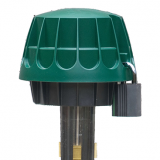 MJK offers a full series of water level transmitters designed for immersion in open tanks, wet-wells, ground water and reservoirs. The water level transmitters are designed for measurement under rough conditions in all water and wastewater applications with large concentrations of sludge and suspended solids. Logging data today is not just processing data such as oxygen, pH or levels. We measure and log data from reservoirs, lakes rivers, streams, creeks, groundwater, surface water, harbors and many other places to help adapt and improve our infra structure.